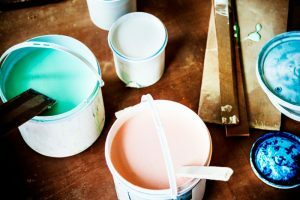 So you’ve decided that it’s time to give your home a new clean look. Routine is one thing, but getting stuck in a style rut is an entirely different can of worms my friends. Make your public areas a place for people to feel welcome and even a little jealous of your superior homemaking skills. Dusty out dated prints are just an eyesore after about twenty years on the walls. Retire those things until they are retro and reframed even. Think outside the box and get new and interesting pieces to replace those tired old prints or shaggy items on the wall. You can buy shelves that are great for adding a little dramatic flare to your wall. Place one or two interesting objects inside one of these are really bring them into the lime light. A mirror always makes a room brighter and seem larger. A novelty mirror also gets many compliments or at least questioning gazes. Who really wants to be just like everyone else, dare to stand out from the crowd. Even if most of us are just lower to middle income citizens is no reason to have a hum drum living space. Color in your life and like every child, color outside of the lines. Be bold in your patterns and colors, embrace the different and funky. Have fun with your space. Colorful throw pillows on the couch are a great way to zing up that monotone couch and maybe you’ll see it in a new light. Add throws in different colors and patterns around the rooms and see how just that will make your living space seem exotic and new. Get rid of everything that is not a decoration. The pile of various remotes and bills covering every flat surface of your coffee table and side table are not art de jour. 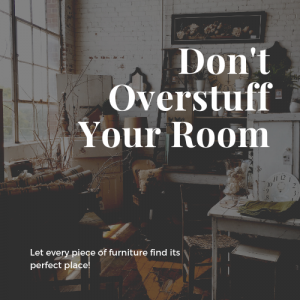 Find a drawer and neatly organize all of that stuff out of sight but not out of mind. A lamp can be practical and fun at the same time. There are so many different lamp designs out there that sticking to your grandmothers theme is getting sad. Break out and get a new age or really old looking lamp. Look into vintage shops for interesting takes on the lamp. The best thing about this is that everyone will think it’s a one of a kind and not mass produced looking. Change up your yellowed lamp shades and go for a new color. Bold colors don’t yellow and look old either. Women moisturize their face to keep their age a secret; don’t let your lamp shade give it away. Shop online if you can’t find anything at the store that you really like. Sometimes we are not blessed to be living in a shopping Mecca, this is life. Try different online sources to find a great look and a great deal to add to your home. Learn professional rules and tricks for creating a successful colour scheme in any interior decorating project. Colour is so important in an interior decorating scheme, it’s the cornerstone of design whether it’s a simple and clean white on a white look or a bold and colourful palette. To get the most out of any interior decorating colour scheme us the following dos and don’ts. Learn the Basics – Spend a little time researching the basics of colour theory and getting familiar with the colour wheel. As with any project, gaining basic knowledge is integral to getting the best results. Let a combination of visceral reaction and colour science be the guide in choosing an interior decorating colour scheme. Use Color to Connect Rooms – Unify the home by using colour to tie the entire home together. This doesn’t mean that one of the main colours should be in every room, although it could be, it does mean there should be a colour theme. The home could be connected through colour by having a different shade of one colour in each room. Or each room could have a different pastel colour. Or the colour theme could jump where one colour is the main colour in one room, it becomes the accent in the next room, and the main colour from that room becomes an accent in the following room and so on. Use Color to Create a Mood – Create a Mood with Color that will reflect the desired mood in the room. Learn how colour affects people and then take advantage of that knowledge to create a cohesive look and feel. Don’t be Afraid of Color – Shake off any colour fears that are lurking in the brain and embrace colour. This doesn’t mean that everyone should run out and paint a bright red accent wall but it does mean that everyone should incorporate colour into their homes and decorating schemes. If there is still fear, start with baby steps. Don’t Forget 60-30-10 – One of the big rules of using colour in decorating is the 60-30-10 rule, the first part of this rule is actually that a colour scheme is made of three colours. The main color in the room will take up about 60% of the visual space in the room. The secondary color takes up 30% and the tertiary color comes in with the remaining 10%. Don’t be a Slave to Trends – Color Trends come and go, with some being more effective than others. 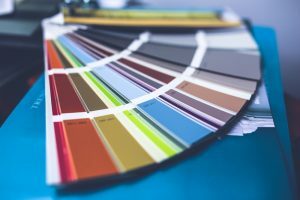 Being a slave to colour trends in interior decorating is very costly and can be time-consuming as well. Use the 60-30-10 rule when choosing your interior decorating colour scheme and use the tertiary colour or 10% for trends. This way the home always seems fresh and updated but this look doesn’t cost a lot and the entire room doesn’t need redecorating every two years. Colour is nothing to be afraid of and like most things the more knowledge that is gained the more successful the end product will be. 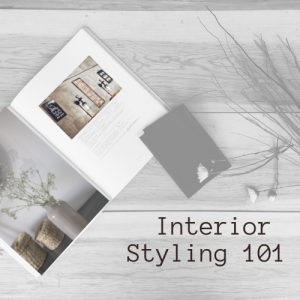 Learn interior decorating basics and pull together a room that looks amazing and impresses friends and family. 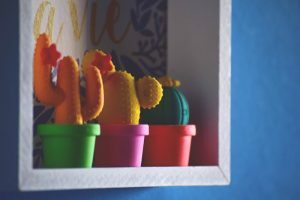 Learning interior decorating basics is actually pretty easy as there are just a few “rules” to keep in mind and then you can let your own creativity and instinct run wild. And remember that the rules aren’t hard and fast, they’re basic guidelines so if you want to break one or two then go ahead. Proportion is one of the interior decorating basics that is almost a feeling for most people. 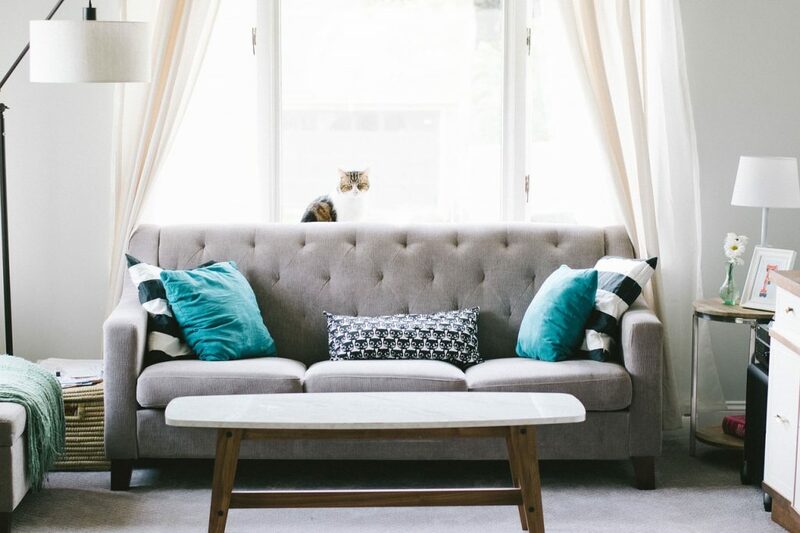 If you’re in a room where the couch is way too large for space you may feel instantly confined or overwhelmed. On the other hand, a large room with tiny furniture may seem almost comical. It’s also important to know room dimensions to make sure your furniture actually fits into the home. Balance is another interior decorating basic that can be felt by most people. If all of the furniture is against one wall that side of the room will feel heavy. A wall that is covered with windows and receives a lot of light that is across from a dark wall with dark furniture will feel much lighter and airy and you’ll again have a balance that’s askew. Creating some contrast in a room is important. Usually, this is done through colour but it can be done in a number of ways. White on white rooms are almost timeless but can be very boring if texture, height, depth and pattern isn’t introduced to create a contrast. Make sure your room isn’t boring by playing with all of these elements. It seems strange to mention harmony as an interior design basic after just saying that contrast is important but it’s true, a successful room will have both contrast and harmony. Imagine our white on the white room above, it’s got harmony through colour. 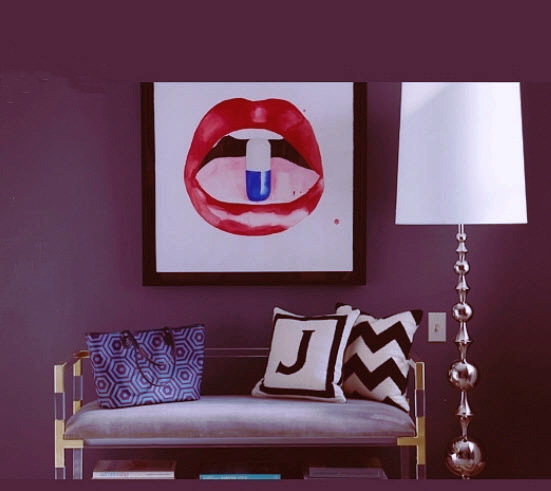 Now imagine that room if every piece of furniture and wall and accessory were a different colour, suddenly you’ve got a visual cacophony that would drive anyone a little batty. Harmony is created through a good colour scheme, similar furniture styles, and relating elements together. Rhythm is the interior design element that blooms out of contrast and harmony with almost no effort at all. Once you get the proper levels of contrast and harmony in your home then you’ll sense that the rhythm will carry your eye through and around the room, never lingering too long in one place and never completely glossing over anything. If a room in your home feels uncomfortable or like it’s just not working aesthetically, step back and try to determine what feeling it creates in you or what interior design element is missing. Then use the basic interior design principles to fix the room and create the effect you desire. We find out more about Miramonti, a boutique hotel in Italy designed by Boxx Creative. We discover more about ONE Brompton, a brand new boutique, luxury development from the Thackeray Estate with interiors by Argent Design. Centre Point’s new flagship restaurant, VIVI, has launched. We speak to the designer behind the restaurant’s stunning interiors. The Mandrake hotel reveals its new centrepiece restaurant, Yopo, which serves modern European food with a South American twist. The Haas Brothers and L’OBJET have collaborated to create a collection of luxury home accessories, inspired by the otherworldly landscape Joshua Tree.